This entry was posted in Fellow Bloggers, Pictures Worth a Thousand Words and tagged Experience, Lies, Nature, Photography, postaday, The Truth Hurts, Weekly Photo Challenge by Joy. Bookmark the permalink. Thanks Jeff. Yes it is rather frustrating, but I still went with the less than perfect shot. The bummer part is that I shot a pic of the entire web, but it just wasn’t sharp enough. 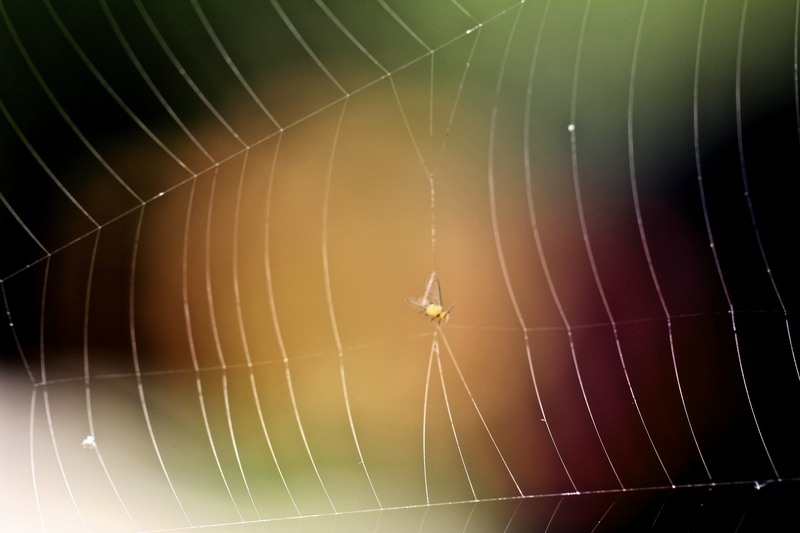 For as much as I dislike spiders I have a great appreciation for their intrinsic web design. Absolute tack sharpness is not the be all end all of a good photo in my book. Of course we are all usually our own worst critics 😉 A little photographic knowledge can enable a person to really pick apart an otherwise good photo. A great concept… Oh, if only it was a bit sharper! I know! I wish! I almost didn’t post it for that reason, but decided to anyway. I’m trying to take your advice and shoot new shots for the challenge. I just couldn’t pass up this web with the fly. I’m still learning and the constructive criticism from those better than I helps me improve.